Since we are so far passed reality in America, it’s high time we depend on our good senses to figure our way out of catastrophe. Case in point, a supposed sealed indictment of President Donald Trump being evangelized by Louise Mensch via patribotics (aka Exposing Vladimir Putin’s War on America) using New York State Attorney Eric Schneiderman as a protagonist. Mensch is a perfect example why we should just go on gut instinct from now on. According to Mensch, the American president is about to be impeached for clandestine collusion with the Ruskies, and this super-secret sealed indictment was indeed granted Schneiderman, at least according to unnamed sources. Well. As the former publisher of Russia Insider, maybe I’ll just quote Mensch-quoting-RI here. Charles Bausman’s independent media apparently tagged the woman – “Unhinged British witch” “a textbook succubus”- Russian Insider at a point, for Mensch proudly wears the label on her Twitter profile? Question: Is “textbook succubus” on the same level as Kremlin Troll? I need to know because I am writing the definitive book on Putin fanboys and girls. Sorry, I digress. 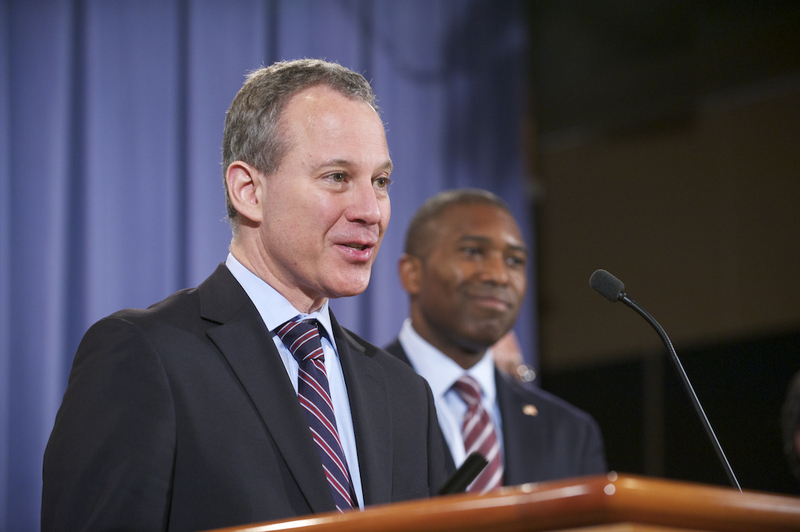 New York Attorney General Eric Schneiderman – Is this a face you would ever trust, I mean really? Holy spooks, now the Inquisitor has picked up the story and upgraded the indictment to alleging Trump is a Russian gangster now! Yikes! Christ and all the saints, Putin as dictator of America is a damn sight more interesting that watching paid morons scamper about beating the bushes for their globalist benefactors. Let me say this three times – these people are stupid, stupid, stupid. While I’ll also admit to smoking marijuana back in the 70’s, I hope I am no hypocrite here for mentioning Mensch’s admitted use of opioids. And excuse me if I wonder about any nincompoop ditz who ever said they wanted Obama to launch “precision bombing raids” and “massive cyber war” in response to Russian interference in the 2016 United States elections. I guess the former president could have used the evidence a dragonfly flew up Mench’s skirts as the justification. To be totally honest, I feel pretty bad even mentioning Mrs. Mensch. She’s admittedly had her share of problems. But folks, this is where we are – get it? The mainstream, the government, the courts, the military has become entertainment. At this point I am sure over half who read this will agree, we’re better off going with “looks” when nominating truth or leadership. And on that note, Schneiderman up there has a crazy left eye – and Mensch looks like an intillectual seductress one minute, and a bipolar escaped Nazi war criminal bimbo the next. Yeah, yeah, I know – I am the nutty professor meets Sean Connery wannabe – so elect me. Putin did not have to tamper with our elections folks, we were screwed no matter what. Digest that.